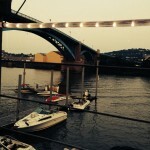 Pittsburgh has shed its industrial layer of grime and grit. Old factories are new apartments. Grey buildings now gleam. Riverfronts have been cleaned up and trails cleared. Among the byways and bridges that exit and enter this city there is a whole lotta green space. We couldn’t agree more. 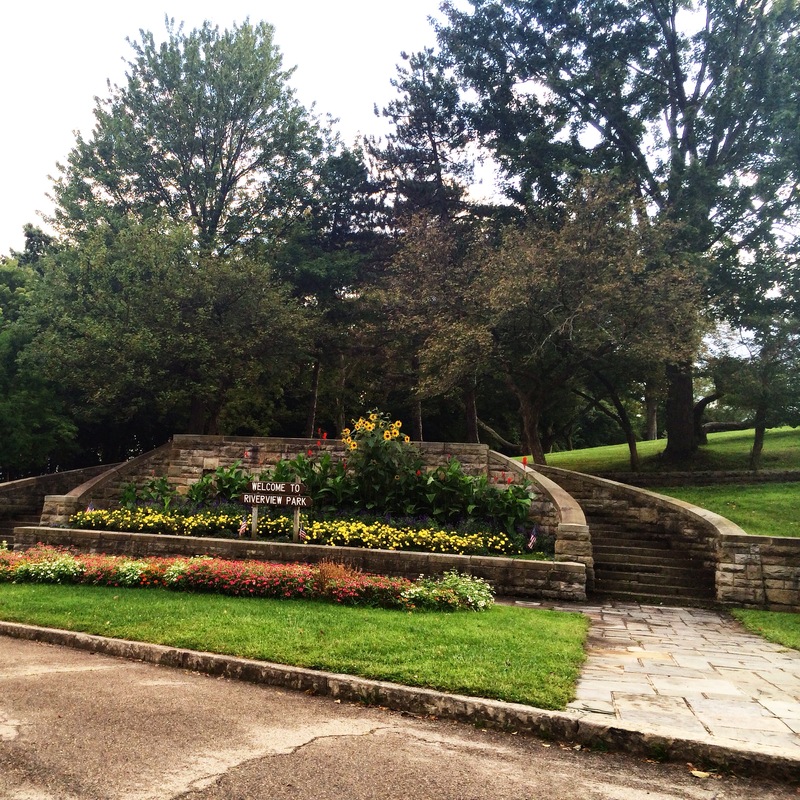 To help you get the most out of them, from the lesser-known trail at Washington’s Landing to the lawn at Schenley Plaza, NEXT brings you this guide to Pittsburgh city parks. Take it park by park. Who knows, you may end up off dry land. 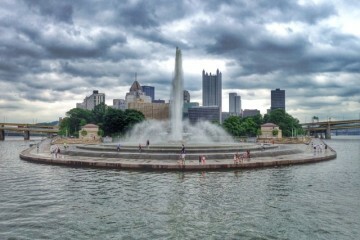 Point State Park couldn’t possibly be more Pittsburgh if it tried. Situated at the tip of The Golden Triangle, where The Monongahela and The Allegheny meet to form The Ohio, there’s a vista in every direction—the city, the rivers, the stadiums, the rooftops of Mount Washington. The big draw is the fountain. It’s one of the largest in the country, spraying water 150 ft. high. Another asset? The the miles of bike trail this linear park offers. Keep pedaling southeast on the GAP (that’s Great Allegheny Passage) and you might end up at the White House. Yes, the one in D.C. Otherwise, wind alongside rivers and across bridges. Maybe even check out SUP3Rivers for a more adventurous view. Who to see: Sunbathers; tourists, downtown residents walking their dogs; kids dunking their toes in the fountain; fans wearing black n’ gold garb. What you might not know: The land here was battleground during the French and Indian War; therefore, you will find the oldest building in Pittsburgh here. Step inside the The Fort Pitt Block House to see the view from 1764. How to get there: Set your GPS for the Wyndham Grand (Downtown). Cross Commonwealth Place, walk over the grass, then under the bridge, and the fountain will come into view. Deeper into downtown, you’ll find the city’s most recently completed park project. The new Mellon Square is a $10 million venture (BNY Mellon, The Eden Foundation, The Colcom Foundation, and a handful of corporate and private sponsors) to makeover the old garden plaza, which was originally built on top of a parking garage in 1955. Turns out Pittsburgh had a pretty fancy rooftop garden before rooftop gardens were a thing. 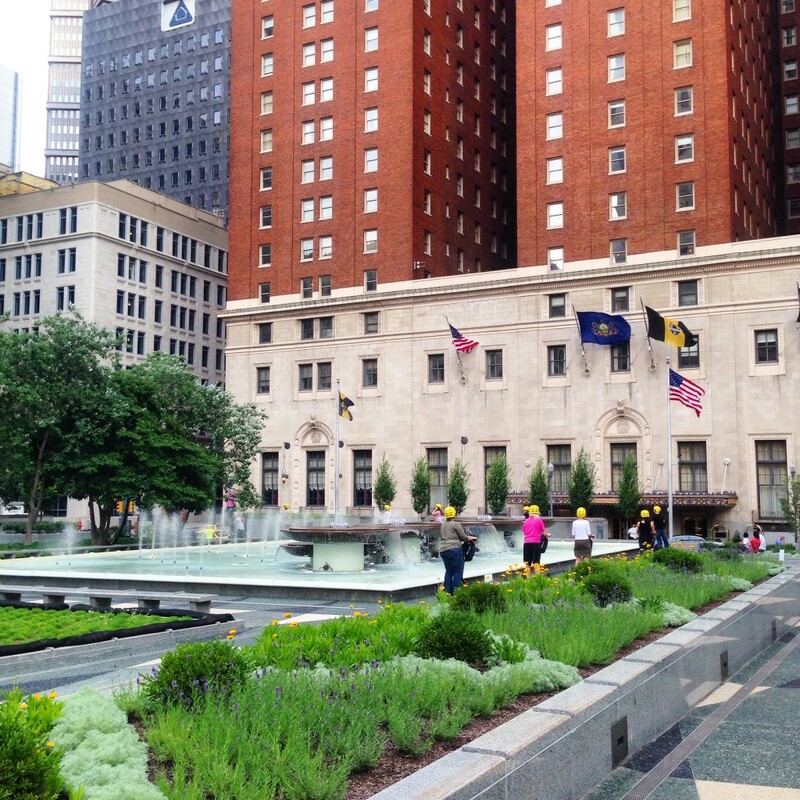 Now, like most Pittsburgh makeovers, Mellon Square is sleek and modern with architecture that is artistic. Sit and enjoy the splashes of water, and then stop by the Speakeasy at the Omni William Penn Hotel for a Pimm’s Cup or a cobbler—depending on your taste in spirits. What you might not know: The American Planning Association named Mellon Square one of the 10 Great Public Spaces in America in 2008, and that was before its new look. How to get there: Enter either from the sidewalk across from the Omni William Penn Hotel or walk up the fountain steps at the corner of Smithfield and Oliver Streets. This park was around before the city of Pittsburgh. Once farmland, today Riverview Park is abundant with trails that cut in and out of hills and woodlands, attracting thousands of bikers, hikers, runners, and trailblazers. 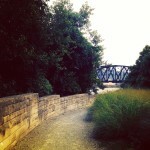 There are trails that meander through the trees, while others bring the Ohio River into view. The most frequented route is a 2-mile paved path that circles the park. Riverview Drive starts at the Allegheny Observatory, passes by the public pool and through the Mairdale Watershed, ending at the visitor’s center. 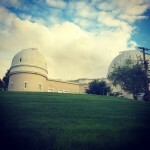 Although the observatory is the University of Pittsburgh’s private research playground, there are free tours from April through October for those of you curious about the celestial objects above Pittsburgh. Dress warm, even on summer nights. What you might not know: Have a horse? It’s the only park that allows horses and is home to Riverview Valley Stables where you can ride or take lessons. How to get there: The main entrance is where Riverview Avenue meets Perrysville Avenue. 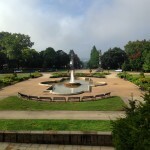 Park near the fountain or adjacent to the observatory. Dogs? Yes, dogs on leashes. There is also a dog run near the observatory parking lot. Pittsburgh has its own island. Formerly Herr’s Island, Washington’s Landing has a townhouse development, a marina, and riverfront dining and drinking at Redfin Blues, a world away from the city and yet so close. And away from all that civilization is a public park, where The Heritage Trail winds up the Allegheny River. On one side rabbits hop around in manicured grass and on the other rocks, pines, and leafy trees slope straight to the water. Follow the trail—on foot, on bike or with a pup—up to the footbridge. Soak in the city view. On the way back, head down the man-made steps until you see a giant wall of a rock. Climb on top. Watch boats and listen to the water lap. Arrive back thirsty and you can have a beer or a boat drink at the bar. What you might not know: Once a condemned brownfield site, the “Herr’s stink” and nearly 20 sunken barges had to be removed before Washington’s Landing was born. How to get there: Just minutes from the Strip District, at the end of the 31st Bridge take a very sharp left, which will land you in (free) marina parking lot. Hit the trail off to the left or head to Redfin Blues to the right. Enter Highland Park from the Entry Garden. 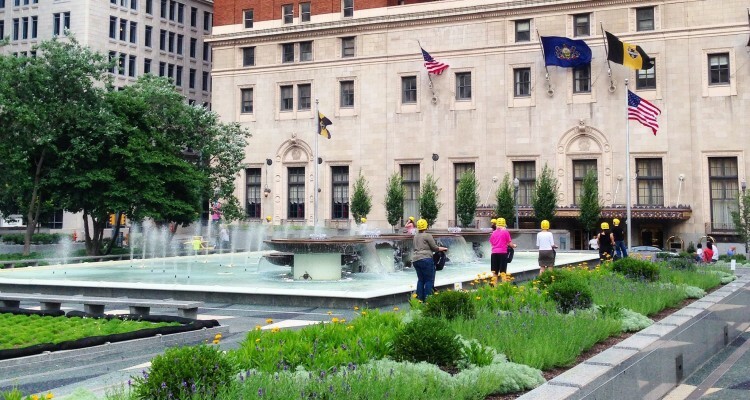 Any time of the year you will be greeted by lush perennials—we can thank the neighbors of Pittsburgh and the Men’s Garden Club of Pittsburgh for their pristine upkeep. Continue past the fountain and up the steps and you will be overlooking an unassuming expanse of water. 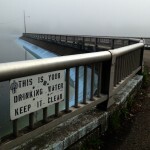 Reservoir No. 1 used to be Pittsburgh’s municipal water supply, and today is a multi-million dollar water filtration plant (naturally de-chlorinated by the Babbling Brook). 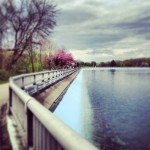 Reservoir Walkway, a concrete path friendly for bikes, dogs, and pedestrians alike, encircles the reservoir. 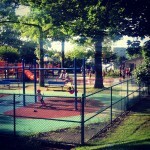 Highland Park is also the place for kids (and adults) to have little fun. Playgrounds abound, or spend a day at the Pittsburgh Zoo and the PPG Aquarium. What you might not know: Highland Park Pool is the city’s only long-course swimming pool. How to get there: Park your car anywhere along Reservoir Drive. To get to the Entry Garden, go to the corner of Highland Avenue and Bunkerhill Street. The Zoo, go to Zoo Parking Lot Road. Not to be confused with Mellon Square is Mellon Park. With its playgrounds, rolling lawns, and hundred-year old trees, Mellon Park sprawls out from either side of Fifth Avenue in Shadyside. 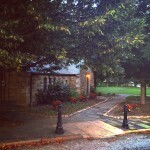 Take a book and sit on one of the park’s many benches or historic stone steps. 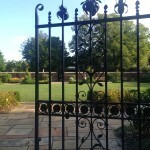 Or just take some time off from your day to meander through the gardens or browse Phipps Garden Center and buy a plant. And definitely don’t miss the stars. 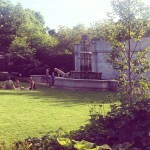 The Walled Garden is a garden and a grassy spot perfect for picnicking by day, and both a memorial and a public art installation by night. After dark the 150 stone markers hidden in the grass shine up to represent the stars in the night sky that hung over Pittsburgh in 1979.
Who to see: Artists, because Mellon Park is home to the Pittsburgh Center of the Arts; historians marveling at the original landscape and architecture of the gardens; wedding parties; and tennis players. When to go: Sundays in the summer for Bach, Beethoven and Brunch; the weekend of A Fair in the Park; anytime after dark. What you might not know: Mellon Park has a year-round tennis court. The “bubble” offers court time, classes, and lessons. How to get there: You can drive or walk to corner of Fifth Avenue and Shady Avenue. Park in the lot by the playground. 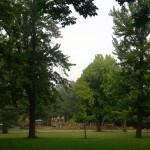 This is the largest park in the city of Pittsburgh, neighboring the up-and-coming Regent Square. 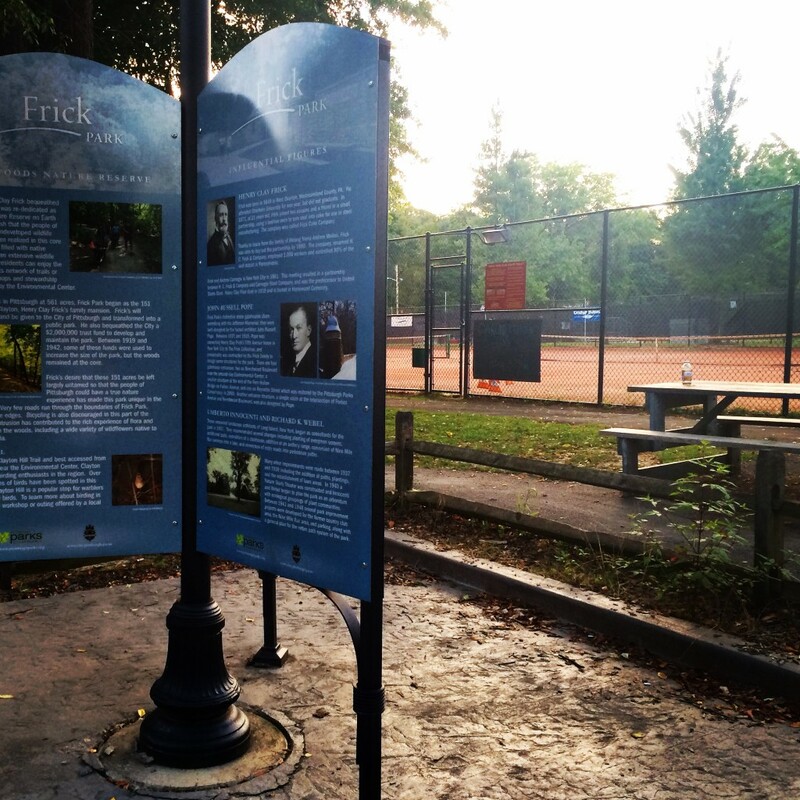 Frick Park stretches from Point Breeze to the Monongahela and covers almost 600 acres of fields, streams, and trails. Kids flock to Frick for sliding and sled riding. In the summer, visit Blue Side playground, which inspired indie rapper Mac Miller’s album Blue Slide Park. In the winter, you will find some of the best sled riding hills (Cowboy Hill or Blue Slide Hill) in the city. And all year long the Nine Mile Run Watershed, nearly seven miles of the park, is home to various community involved ecology projects, one of which includes the largest urban steam restoration in the US. What you might not know: If you’ve always wanted to give lawn bowling a go, Frick Park has been host to the Frick Park Lawn Bowling Club since 1939. How to get there: There are quite a few entrances; however, the free parking lot is Lower Frick, near Regent Square, at Hutchinson Street and Lancaster Avenue. Dogs? Yes, on leashes. Off the leash, head to the dog park on Riverview Trail. 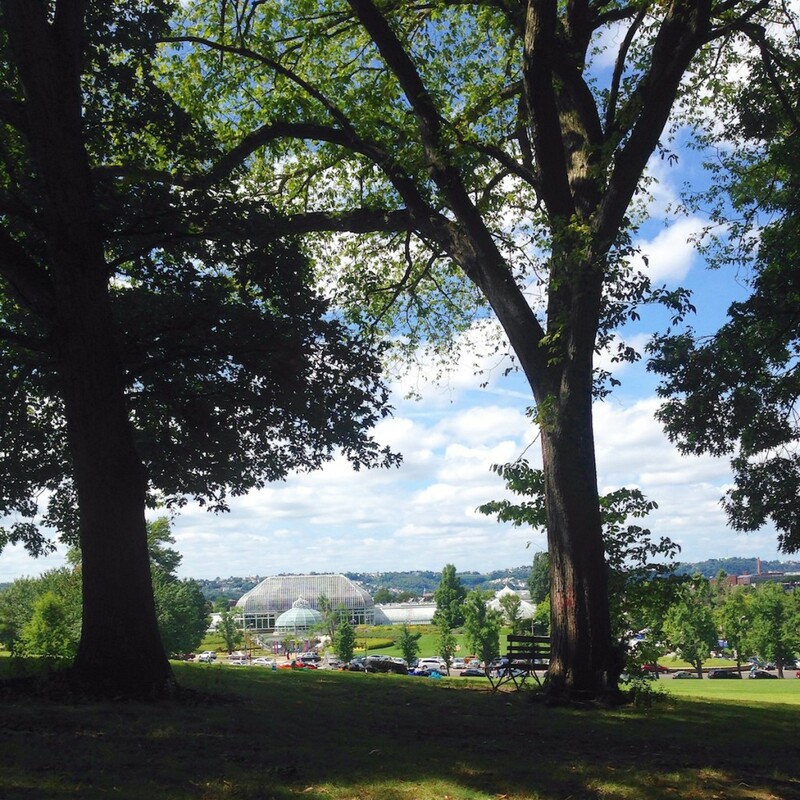 After a visit to the Phipps Conservatory, chill out on Flagstaff Hill. Watch people play Frisbee, and kids and dogs running around, and you might just catch a hang gliding lesson in action. 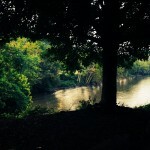 Or delve more into nature with a walk through Panther Hollow, down by Panther Hollow Lake. If you’re after Oakland’s oasis, head to Schenley Plaza, the place with the white event tent, the carousel ,and expanse of lawn with the grand view of The Cathedral of Learning. You’ll also find plenty to eat there. Conflict Kitchen serves food from only countries with which the US is in conflict with, several kiosks have everything from bubble tea to hot dogs to Belgian waffles, and there is the sit-down favorite Porch. On Sunday, wake up a little earlier for the free outdoor yoga class on the lawn. When to go: Winter, to ice skate; Friday nights in the summer for WYEP’s concert series; the weekend Carnegie Mellon is hosting the annual Spring Carnival. What you might not know: You can golf all year round—virtually—with the three indoor simulators that allow you to tee up on courses around the world at the Bob O’Connor Golf Course. 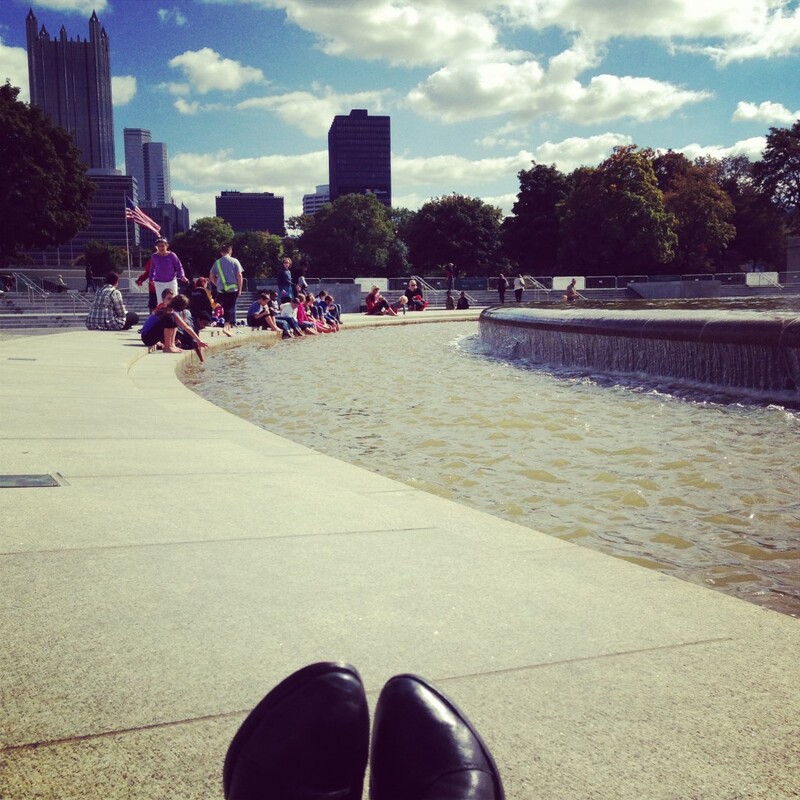 How to get there: To get to Schenley Plaza, put 4100 Forbes Ave into your GPS. From there you can park near the plaza and cross South Neville Street to make your way to the greater portion of the park.